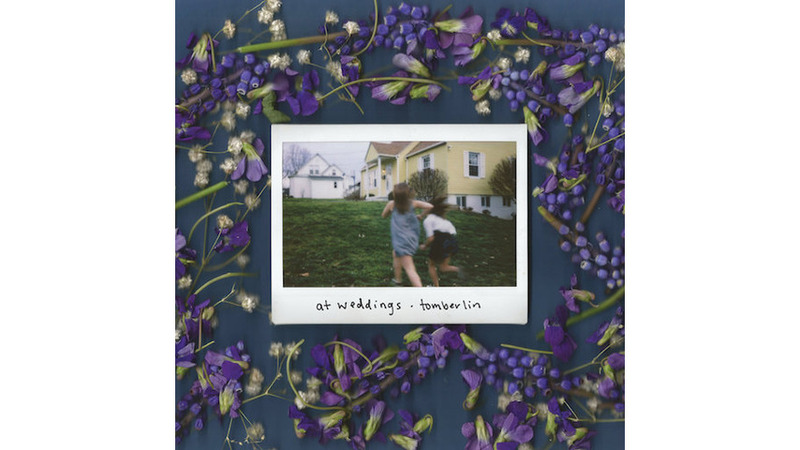 Sarah Beth Tomberlin’s debut album, At Weddings, is an ode to the uncertainty and overall dishevelment of your late teens and early twenties: bogged down by self-doubt, seeking validation from others, rebelling against unsolicited religious beliefs that were pressed upon you as a child (the 23-year-old singer/songwriter was born to strict Baptist parents) and longing for someone even though you know they’re a bad influence. Featuring only an acoustic guitar and various keyboards and effects, the record centers on Tomberlin’s Joni Mitchell-esque pipes, loud in their softness and tenderness and unsuspectedly moving you to your absolute core. The naked instrumentation mirrors the transparency of her lyrics and while the songs consist of just a few elements, her overflowing emotions make the tracks feel full and warm. Many of the songs lack choruses, but the verses are delivered with flowing beauty and genuine conviction. Tomberlin acknowledges that she often makes the same mistakes and she’s a work in progress. It’s hard to believe that someone with such an angelic voice also has to face predicaments like everyone else that often sound hellish. Written in her late teens, “Tornado” features one of the strongest vocal performances on the record and it tackles the gut-wrenching feeling of coming to terms with the fact that you still care about an ex-lover, even though they treated you poorly. While “Untitled 2” sounds a little out of place due to its hazy, lo-fi production value (it was recorded on a phone), Tomberlin compensates with the powerful disclosure that she views herself as toxic and perhaps that’s due to years of involvement in a religion that often preaches guilt and self-loathing over compassion and self-love. She sings, “I just don’t trust people who like me,” but Tomberlin better get used to being liked by many people. At Weddings is filled with such a powerful, saintly aura that even the most ugly subject matters can spur flawless, beautiful results.